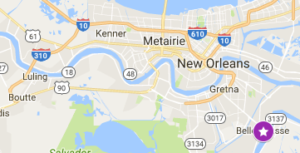 Lindsey Self Storage Management is proud to announce its two most recent additions to the First USA Storage portfolio, located in Belle Chasse, LA. The facilities were acquired by Volta Global, a private investment firm with a global, multi-faceted investment strategy across venture capital, private equity, real estate, and public markets. This marks the 5th and 6th facilities Volta Global has closed on since first making its entrance into the storage industry in 2016. This addition brings the Lindsey Team’s total to 13 locations in the Southeast.